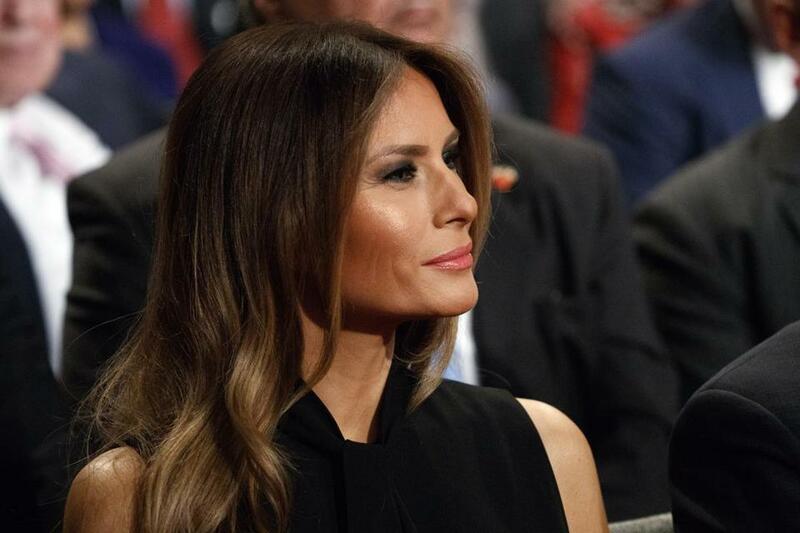 What kind of first lady would Melania Trump be? Melania Trump arrives for the final presidential debate Oct. 19 at the Unviersity of Nevada. No matter who wins the presidency on Nov. 8, one result is already clear: The job of first lady, as Americans have known it for a half-century, will drastically change. We’ve heard a lot about what Bill Clinton might do with the title of “First Gentleman,” but little speculation about Melania Trump as first lady. All indications, based on her record up to now, point to a return to earlier times — when the president’s wife did not campaign on her own and raise money for her husband, did not stake out a project of her own to enrich his legacy, did not take stands on issues especially important to women, and did not assume an advocacy role for women around the world. In short, Melania Trump’s idea of a first lady is much like the one Americans embraced in the 1950s, when both Mamie Eisenhower and Bess Truman attracted many fans and imitators, not as independent activists but as style setter (Mamie) and loyal, very private companion to a president (Bess). All eight of her successors followed her example, and one newspaper reported that Nancy Reagan functioned as an “associate” president. The most obvious result is increased attention to one segment of the population — women — who look to the president’s spouse to advocate for them in ways the West Wing does not. Recent first ladies — both Republican and Democrat — have responded to women’s pleas to make their voices heard. Betty Ford lobbied legislators for passage of the Equal Rights Amendment; Laura Bush took her husband’s weekly radio slot to speak out about “brutality against women and children” in Afghanistan; Hillary Clinton made headlines for declaring at the 1995 UN conference in Beijing that “women’s rights are human rights;” and Michelle Obama, even before her husband’s election, in 2008, announced that she would work to improve the lives of military families. When asked what particular project she would undertake as first lady, Melania Trump talks generally about putting her “ideas” to work. Rather than speak about issues in the campaign and how the candidates differ, she extols her husband’s character and personal traits, calling him a “leader” and “deal maker” with a “great heart” who “knows what America can be.” She describes herself as “tough” and “thick skinned,” but she has not delineated how she would use that strength in the service of those who feel they lack representation. In the past, substitutes from various quarters have stepped in for first ladies who either could not, because of a health issue, or did not wish to, because of personal preference, spend time on first lady work. To accept an honor or greet a visiting dignitary, Jacqueline Kennedy enlisted her mother and the vice president’s wife, Lady Bird Johnson, as “pinch hitters.” As hostesses at social events, Betty Ford and Pat Nixon called on their daughters. A Trump White House might very well rely on Ivanka Trump to serve as first lady surrogate, not so much on the social scene but as an advocate for women’s causes and concerns. However, she would not speak with the authority of a president’s wife. So this much is clear: Whether it’s a man undertaking a job held only by women for more than 200 years or a woman unlike those who preceded her, the East Wing is in for some changes on Jan. 20.